New Orleans ranks 23rd out of 52 metropolitan statistical areas (MSAs) in the U.S. Metropolitan Area Economic Freedom Index produced by the libertarian think tank the Reason Foundation. The Index ranked 382 MSAs according to the level of their economic freedom in two groups based on population size; 52 MSAs with a 2012 population of one million or higher and 330 MSAs with populations of less than one million. “New Orleans ranks substantially below average on government spending and a bit above average on taxes and labor market restrictions,” the author of the Index, Dean Stansel, research associate professor at the O’Neil Center for Global Markets and Freedom in the Cox School of Business at Southern Methodist University, told Watchdog.org. Of the 330 MSAs with populations of less than one million, Lafayette ranked well at 73. It is the only one out of nine MSAs in this category in Louisiana that ranked in the most-free quartile. Lake Charles placed closer to the bottom, ranking 238. Residents living “in one of the least-free areas amounts to taking an 11 percent pay cut compared to living in one of the most-free areas,” Stansel notes. The Index measures three areas of economic freedom: government spending, taxation policy, and labor data, within which exist three variables each. Of the nine variables, the Index converted the raw data to be ranked according to a zero to ten score with ten representing the most economic freedom and zero representing lowest. 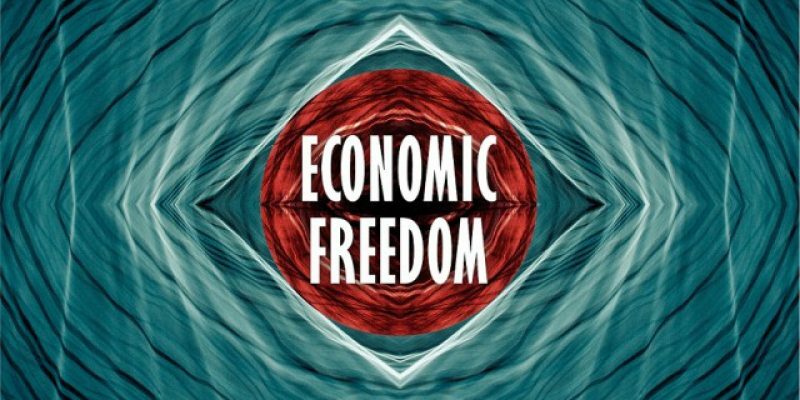 The Index cites research that associates economic freedom with many positive economic outcomes. One study found a correlation between economic freedom and entrepreneurial activity, measured by new businesses created and non-farm employment. Stansel suggests that state and local officials should reduce the growth of spending and Louisiana’s high sales taxes to improve its economic freedom. Daniel Erspamer, CEO of the Pelican Institute, agrees, telling Watchdog.org that reforms are needed to improve Louisiana’s economic success. “New Orleans has made great strides in reforming its education system by expanding charter schools and school choice opportunities but has taken steps backward with the increase in regulations on private property and burdensome state and local taxes,” Erspamer said. By following policies pursued in a few other southern states, Louisiana and its cities can improve their economic standing, he said. The Index reveals that economic freedom in Louisiana is substantially lower than in Texas. Louisiana’s most-free area – Lafayette – ranks below 21 of Texas’ 25 MSAs. However, Louisiana’s MSA rankings are better than Mississippi’s and are comparable to the levels of economic freedom in Arkansas, the report notes. The Index is an outworking of the Economic Freedom of the World report, which was the first analysis of nation’s economic freedom produced by Nobel Laureate economists Milton Friedman, Gary Becker, and Douglas North, among others more than 30 years ago.